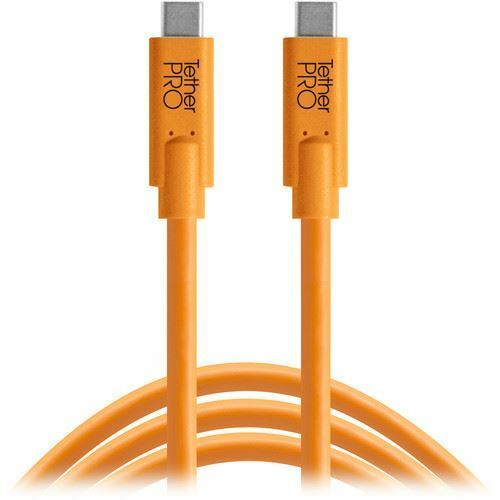 With this orange, 15 ft long Tether Tools TetherPro USB Type-C Male to USB Type-C Male Cable, you can connect a camera, smartphone, or other USB Type-C device to a computer, for the purposes of transferring data. This cable supports USB 3.0 for data transfer rates of up to 5 Gb/s. Box Dimensions (LxWxH) 7.2 x 5.2 x 1.5"